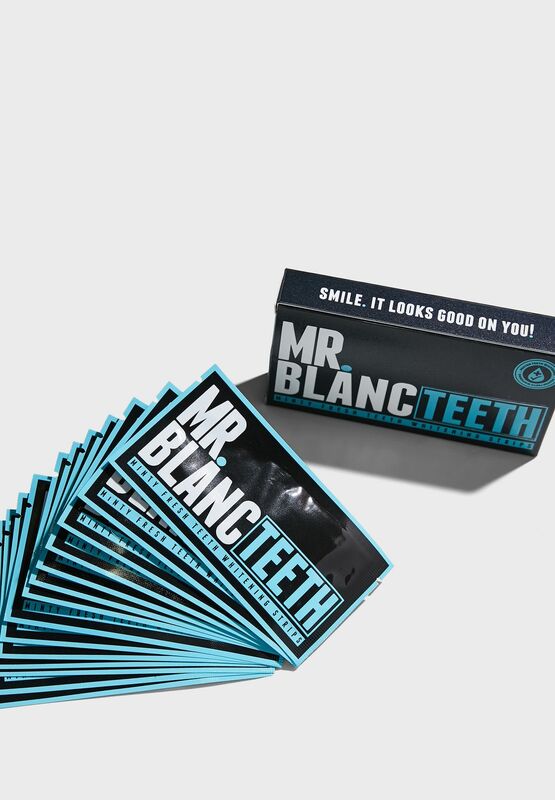 Mr Blanc Teeth Whitening Strips are flexible strips which are designed to follow the contour of your teeth and are an easy and comfortable way to whiten your smile without causing any pain or sensitivity. The strips are layered with a tooth whitening gel which removes deeply embedded stains beneath the surface of the enamel in a safe and effective way. 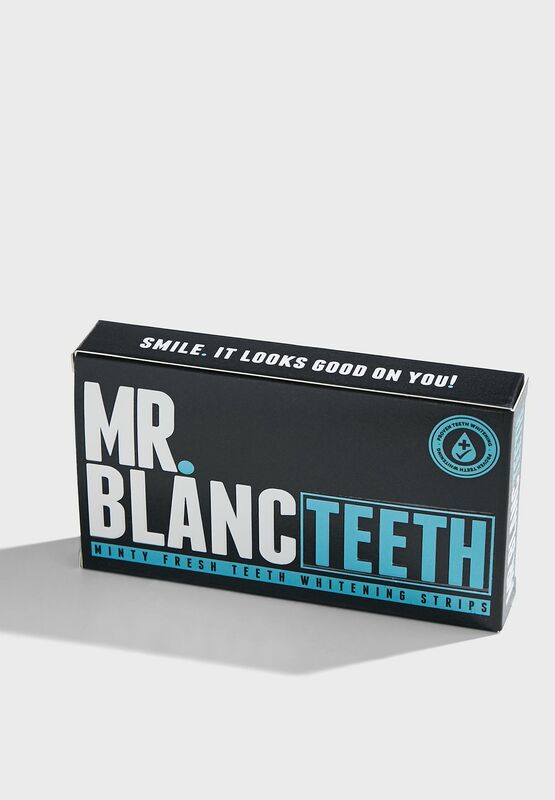 Visibly whitening teeth in up to 14 days, MrBlanc Teeth Whitening Strips prevents the generation of future stains and need to be applied to the teeth for up to 30 minutes each day in order for the teeth whitening strip to work. The peroxide free strips lift and eliminate stains without causing any sensitivity to your teeth or gums, so even if you do have sensitive teeth, the strips will be painless. 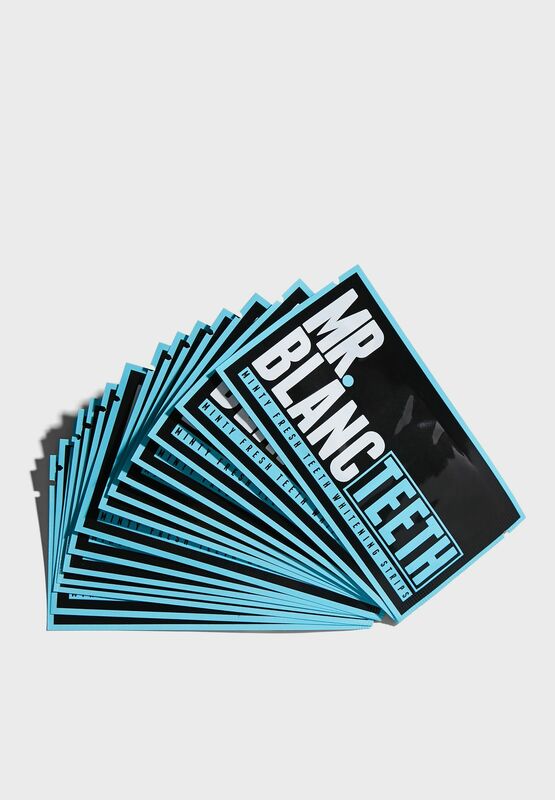 Unlike other whitening strips which have an unpleasant after taste, MrBlanc Teeth Whitening Strips leaves you with a minty fresh mouth. Important Information: Does NOT whiten veneers/ Caps on teeth. Do not eat or drink when you have the strips on your teeth. Do not swallow the strip, gel is ok to be swallowed. If contact with eyes occurs, rinse with water immediately. Do not use if you have ulcers, exposed gums or after oral operations. Ingredients: Glycerine, Aqua, Cellulose Gum, Sodium Chlorite, EDTA, Citric Acid, D. L-Menthol.